Stella Duffy has written sixteen novels including Money in the Morgue, which Harper Collins published in March 2018. She was commissioned by Harper Collins to write Money in the Morgue, a novel started and abandoned by Dame Ngaio Marsh in the 1940s. Stella has completed the book based on several (incomplete) early chapters and the few notes left by Marsh. Her latest Virago novel The Hidden Room is now out in paperback. She has also written and devised fourteen plays and over sixty-five short stories, including several for BBC Radio 4. Her collected stories are published by Salt in Everything is Moving, Everything is Joined. She won the CWA Short Story Dagger in 2002 (Martha Grace) and 2013 (Come Away With Me), Stonewall Writer of the Year in 2008 (The Room of Lost Things) and 2010 (Theodora), and the Diva Literary prize for Fiction in 2017 (London Lies Beneath). Her novels The Room of Lost Things and State of Happiness were long-listed for the Orange Prize. 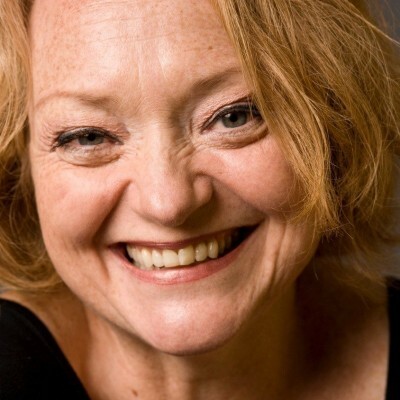 She wrote and presented the BBC4 documentary How to Write a Mills and Boon and has reviewed for The Review Show (BBC2), Front Row and Saturday Review (BBC Radio 4) and written articles for most major newspapers in the UK. In addition to her writing work she is a theatre director and performer. Her latest theatre commission is The Matilda Effect, a play about women in science, for Three Legged Theatre. She is the founder and Co-Director of the Fun Palaces Campaign for cultural democracy. Stella is a regular speaker and campaigner around LGBTQ, women’s and arts issues. She was awarded the OBE for Services to the Arts in the Queen’s Birthday Honours 2016.